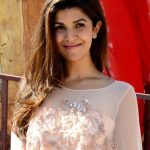 Nimrat Kaur was born on 13 March 1982 in Pilani, Rajasthan, India. She attended the Shri Ram College of Commerce where she completed a degree in Economics. She also earned an MBA. After graduating, she relocated to Mumbai to pursue a career in modeling. Instead, she started performing in theater. 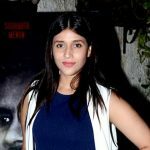 In 2005, she made her film debut in the Hindi film Yahaan. She next appeared in the historical epic film One Night with the King, which was released in the US. After taking a break from acting, she returned in the 2010s — this time working in Hollywood. She made her TV debut as Tasneem Qureshi on the Showtime series Homeland. She became further known for starring as Rebecca Yedlin on the Fox series Wayward Pines. She’s also continued her work in India with the films Peddlers, The Lunchbox, and Airlift.